I am honestly astounded by the sheer number of the good metal bands come out of Finland and among them I would strongly say that this band, Thyrien has elements which are similar to their lauded countrymen Ensiferum and Wintersun. 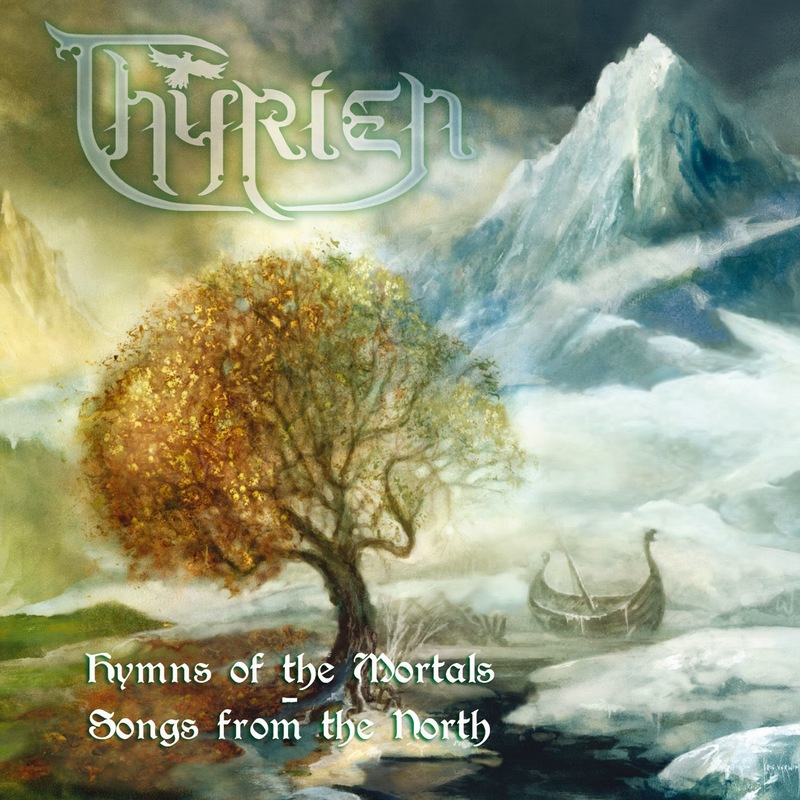 Thyrien are not one of the more well-known names from the Finnish scene, but with their debut album, 'Hymns of the Mortals - Songs From the North' it is evident what they add to the powerful, empowering yet rustic feel of folk metal music the Finns seem to be giving birth to and by that I'm implying this band has amazing potential. Thyrien's stride within the music only hits its peak after a beautiful introduction within every song which is very eargasmic to listen to, since the mood it set in every song especially, from the three songs that I favour the most from of the album "My victory, My defeat", "Deathwish", and the band's plucky cover of the Finnish hit song "Tinasormus". greater joy after the band takes its mighty stride toward epic-ness. It's just like how a skydiver might feel before jumping off a plane and then all of a sudden, "BOOM!". He's in an adrenaline filled experience which can be felt greatly from the beautiful rhythms, catchy melodic riffs - which one could probably headbang to endlessly, absolutely brilliant atmospheres set by the synths, and the driven heavy double-bass drumming which as a drummer myself I very much enjoyed listening to. There’s nothing new about the music that this band has to offer since there is nothing here which hasn't already been presented by other groups of the same style of music, but then again, this isn't the kind of music you look to for innovation. 'Hymns of the Mortals' is an easy listen and is an album I'd recommend when drinking and having a cold pitcher of beer with your mates, with amazing melodies which would set the perfect mood while drinking. The song writing of Thyrien isn't as good as most of the bands out there in this genre, but there are quite a few moments which are full of fun and very enjoyable since the music itself has an amazing feel and I couldn't help but smile while headbanging to the songs out of pure spontaneity and pure love of the eargasmic folk music that is present on this album. One such moment presented itself during the short bagpipe solo (at 1:25 minutes) in the song 'My Victory, My Defeat'. All in all there are a few flaws which must be pointed out. The songs did not stand out much from similar bands that I've listened to and also, the lyrics are not that special either, but that doesn't mean the band has very tacky music. On contrary the band shows it's colours in the overall performance in the album and though the band might not be the best, it certainly does a kickass job in bringing the feel of absolutely beautiful yet powerful music that folk metal presents itself to be. This album is definitely one which I'd listen to and without a doubt would make me and probably any other listener listen to them in a loop rather than listen to it a single time. Overall a great album.